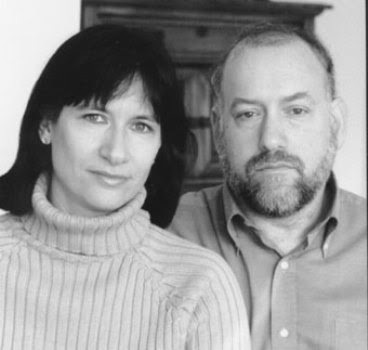 As the one-year anniversary of the death of my husband, Professor Barry Rubin, approaches, I am reaching out to you, his loyal readers, to help continue his important work. Barry was one of the most prolific Middle East scholars of our time. He believed strongly in fighting for the security of America and Israel and worked tirelessly for this cause, literally up to his death. Even while hooked up to an IV dispensing chemo, Barry was dictating his famous Rubin Report to his assistant. He also finished three books, which were published posthumously: Nazis, Islamists, and the Making of the Modern Middle East (Yale, 2014, co-authored with Wolfgang G. Schwanitz), Silent Revolution: How the Left Rose to Political Power and Cultural Dominance (Harper Collins, 2014), and The Military History of the Modern Middle East (Routledge, 2015). I know Barry would be proud as to how GLORIA, the research institute he founded at the Interdisciplinary Center and which I always referred to as the “other woman in his life,” continues to thrive. The Global Research in International Affairs (GLORIA) Center is now under the directorship of Dr. Jonathan Spyer--Barry’s longtime deputy and hand-picked successor--who has reported from across the region, including several trips to war-torn Syria. Dr. Spyer is recognized as one of the world’s leading Middle East analysts, appearing on and writing for major media outlets as well as doing speaking events worldwide. The Middle East Review of International Affairs (MERIA), which Barry pioneered in 1997 as the first online Middle East journal, maintains its high level of scholarship, with a circulation of over 25,000. In addition, GLORIA continues to publish Turkish Studies, founded by Barry and listed in the prestigious Social Sciences Citation Index (SSCI). Thirteen of Barry’s books are available now for free on the GLORIA website, including The Arab States and the Palestine Conflict, The Truth About Syria, and more. In addition to these projects, Barry’s longtime dream of helping develop the next generation of Middle East scholars has become a reality. In October, Aymenn Jawad al-Tamimi became the first recipient of the Rubin Fellowship. Al-Tamimi has already emerged as one of the world’s leading experts on the Islamic State (IS), recently testifying before the British parliament on the subject. As Barry’s widow and co-author, I ask for your help in ensuring the GLORIA Center continues these ongoing activities. Funds are especially needed to expand the Rubin Fellowship. Please consider making a donation in Barry’s memory and for the values for which he dedicated his life. Click here to make your tax-deductible donation before the end of the year from the United States, the UK, or Israel. As Barry’s widow and co-author, I ask for your help in ensuring the GLORIA Center continues these ongoing activities. Funds are especially needed to expand the Rubin Fellowship. Please consider making a donation in Barry’s memory and for the values for which he dedicated his life. Make your tax-deductible donation today from the United States, the UK, or Israel. “The enemy of your enemy is your friend,” wrote the Grand Mufti of Jerusalem, al-Hajj Amin al-Husaini, about his reverence for Nazi Germany that had fought his enemies, the (British) colonialists and the Zionists. While this may have been an understatement, it is common knowledge that the Palestinian Arab leader ruined his reputation by collaborating with the Nazis. The exact nature and extent of his collaboration and the solidity of its ideological foundations, however, were not fully explored until the publication of this study. It is to the credit of these two fine scholars, the late Israeli historian Barry Rubin and his colleague Wolfgang G. Schwanitz, that they discovered documentary proof in German, Yugoslav, Israeli, British and Russian archives of how the Grand Mufti made maximal efforts to provide the Nazis—who were notoriously short of allies—with as much assistance as he could. Professor Johannes Houwink ten Cate, co-author of “In het puin van het getto: het concentratiekamp Warschau,” Jewish Political Studies Review 25(Fall 2013)3-4, 26 November 2014. Barry Rubin and Wolfgang G. Schwanitz, Nazis, Islamists and the Making of the Modern Middle East, New Haven & London: Yale University Press, 2014, xiii plus 340 pp. After the defeat of the Third Reich, al-Husseini wanted to persuade the world that he had collaborated out of opportunistic motives, essentially because other Middle Eastern leaders accommodated the British and French colonial powers, and Nazi Germany fought against those countries. During the war, however, and especially before Nazi audiences, al-Husseini quoted the Quran as proof that the Jews were terrorists, the bitterest enemies of the Muslims, and haters of Muhammad. Second on his list of worst enemies were the British. The Mufti added that he did his utmost to convince Muslims to join the Waffen-SS, the elite army of Nazi Germany. Thousands followed the call of the Mufti, although the contingent of Dutchmen outnumbered the Muslims among the foreign volunteers in the SS. According to the Mufti, Nazi Germany was the natural ally of the Muslims. He added that Germany was fighting against “World Jewry,” England and Communism which oppressed forty million Muslims and wanted to destroy Islam. However, there was much more to his collaboration. According to the Mufti, the most important feature of their alliance was the fact that Nazism and Islamism shared a common ideological basis. The title of this seminal book, Nazis, Islamists and the Making of the Modern Middle East is appropriate because Rubin and Schwanitz document these ideological similarities. Indeed, Rubin and Schwanitz not only have written a study of the collaboration of the Mufti with Nazi Germany but also a study of the “making of the modern Middle East.” Both Islam and Nazism preached the necessity of a community living in a single state under a single, all-powerful leader [i.e., Das Führer Prinzip]. Furthermore, redemptive anti-Semitism was central to the worldview of the Nazi religion. Both Islam and Nazism glorified armed conflict and martyrdom as well as the notion of the common good (as opposed to individual liberty), the family, motherhood, physical labor and hatred of Jews. According to the Mufti, an Allied victory would mean the triumph of the Jews and a disaster for Muslims and Islam. If Germany and Islam would win the war, the Arabs would be united under their new leader, namely the Grand Mufti, and the Jews would be destroyed. Despite the setback of the defeat of Nazi Germany in 1945, Haj Amin al-Husseini remained the historic Palestinian Arab leader until Yasser Arafat succeeded him in 1968. Rubin and Schwanitz have produced an extremely well-researched and documented book, both on the Mufti and on the common ideological ground shared by Nazi doctrine and political Islam in its radical form. However, some of the authors’ assertions are not entirely convincing. Along with Nazi hunter Simon Wiesenthal, they state that the Mufti visited Nazi death camps. Nazi leaders usually did not show these camps to foreign sympathizers. They also note that the Mufti supported an “accelerated policy of genocide that the Axis’ partner intended to spread to the Middle East” (160). Had the Nazis been victorious in the Middle East, it is plausible that in planning the most universal of genocides (to paraphrase Professor Yehuda Bauer), they would have murdered the Jews there as well, since that was their policy toward all Jews, even in territories that they had not yet conquered. However, it is not likely that Hitler and his henchmen needed the support of the Mufti in making their genocidal decision to kill the Jews. In their discussion of the role of Haj Amin in the decision-making process of implementing the Holocaust, Rubin and Schwanitz are skating on thin ice. They repeat the common error of over-estimating the importance of the Wannsee Conference (20 January 1942). In fact, 1,100,000 million Jews had perished prior to that meeting. In addition, they appear to have ignored much of the recent scholarship on this decision-making process, particularly the works of Christopher R. Browning on the origins of the Final Solution. In any case, the above is but a minor criticism. The main point is that Rubin and Schwanitz have provided a work based upon excellent original research and have produced a well-written and seminal book on the collaborationist policies of the Grand Mufti, who strove to become the most important Arab leader of his time. It is always important to remember that it was the Mufti himself who emphasized the ideological common ground of Nazism and radical political Islamism. Rubin and Schwanitz have demonstrated its continuity. Johannes Houwink ten Cate is Professor of Holocaust and Genocide Studies at the University of Amsterdam, The Netherlands.